Puerto Rico is a territory of the US. Employers in Puerto Rico must take account of both US federal and Puerto Rico labour law. This dual legal system arises from the status of the Caribbean island, officially the “Commonwealth of Puerto Rico”, as a non-incorporated territory of the US. Global employers can find out about their legal obligations and more in XpertHR’s guide to labour law in Puerto Rico (US version). The Government of Puerto Rico is offering tax incentives that it hopes will attract investment to boost business and create jobs. Similar incentives in the 1970s successfully attracted international companies, such as GlaxoSmithKline and Johnson & Johnson. Below, we outline ten notable facts about Puerto Rico labour law and highlight some of its unusual features. Puerto Rico is considered a highly litigious jurisdiction and employees can bring a claim without cost. Employees do not pay a fee for lodging an employment-related complaint and even have access to free legal representation in certain cases. Also, since lawyers work on a contingency basis and a losing employer pays the employee’s legal fees and costs, the employee does not pay anything for making a claim, whether or not the claim succeeds. There is no language requirement for employment contracts, (or codes of conduct and other notices), but they are generally in Spanish because they must be in a language the employee understands. Although Spanish and English are the official languages of Puerto Rico, Spanish is predominant. There are no statutory limits under US federal or Puerto Rico labour law on the length or renewal of fixed-term contracts, but Puerto Rico legislation treats fixed-term employment as open-ended unless certain conditions are met. If these conditions are not observed, employers may be liable to pay compensation when they terminate the employment of fixed-term employees. Employers are generally free, in the absence of contractual provision, to vary an employee’s terms and conditions of employment (for example, pay, hours and place of work), even if this is to the employee’s detriment. Variation must not be carried out for a reason contrary to US federal or Puerto Rico labour law, such as discrimination or retaliation for the employee exercising employment rights. Unlike most US states, employment in Puerto Rico is not “at will” (i.e. capable of termination by the employer or employee at any time, without notice and for any reason not specifically prohibited by law). Employers may terminate employment only for “just cause” (as defined by statute) and must pay severance compensation for dismissing an employee without just cause. Additionally, as in the US, there are specified grounds on which employers are prohibited from dismissing employees. Puerto Rico legislation regulates working hours in contrast to the lower level of regulation under US federal law. 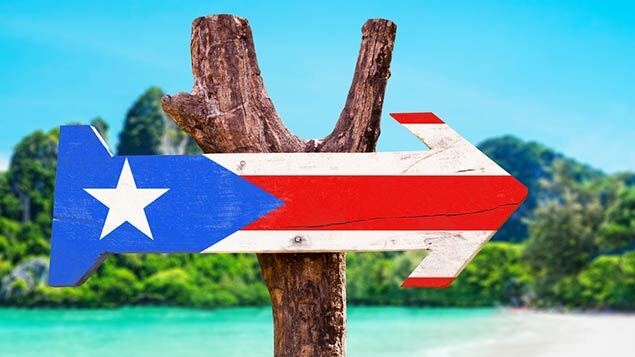 US federal legislation does not provide employees with a right to annual leave, but under Puerto Rico legislation, employees may be entitled to paid “vacation leave”. However, employees do not have a right to use annual leave entitlement until it has accrued for one year. Entitlement to leave for maternity and other reasons is generally governed by US federal and Puerto Rico labour law. Rights to leave that are available only under Puerto Rico labour law include time off to renew a driving licence, for sport-related activities, and to vote in Puerto Rico elections (Puerto Rico residents do not have voting representation in the US Congress). Discrimination law is governed by US federal and Puerto Rico labour law with, in some cases, Puerto Rico law adding to US federal law. For example, there is no lower age threshold for age discrimination (40 under US law), and discrimination is prohibited against those married to another employee employed in the same business and victims of domestic violence. Also, employers must give preferential treatment for recruitment and promotion to former members of the armed forces. “Non-exempt” employees (broadly, those who are not executive, administrative and professional employees) are entitled to a minimum wage equal to either the US federal minimum wage, or 70% of the federal minimum wage, depending on whether or not they are covered by the US Fair Labor Standards Act. “Non-exempt” employees are entitled to be paid sick leave in certain circumstances under Puerto Rico labour law. They accrue entitlement to sick leave and can carry forward unused sick leave to subsequent years, subject to limits. An employer is required to pay an annual bonus, known as the Christmas bonus, to employees, unless the employer has insufficient profits. Puerto Rico is governed by US immigration law, including its rules on work permits and visas. Individuals born in Puerto Rico automatically acquire US citizenship. A foreign national who has a legal migration status that permits working in the US may also work in Puerto Rico.